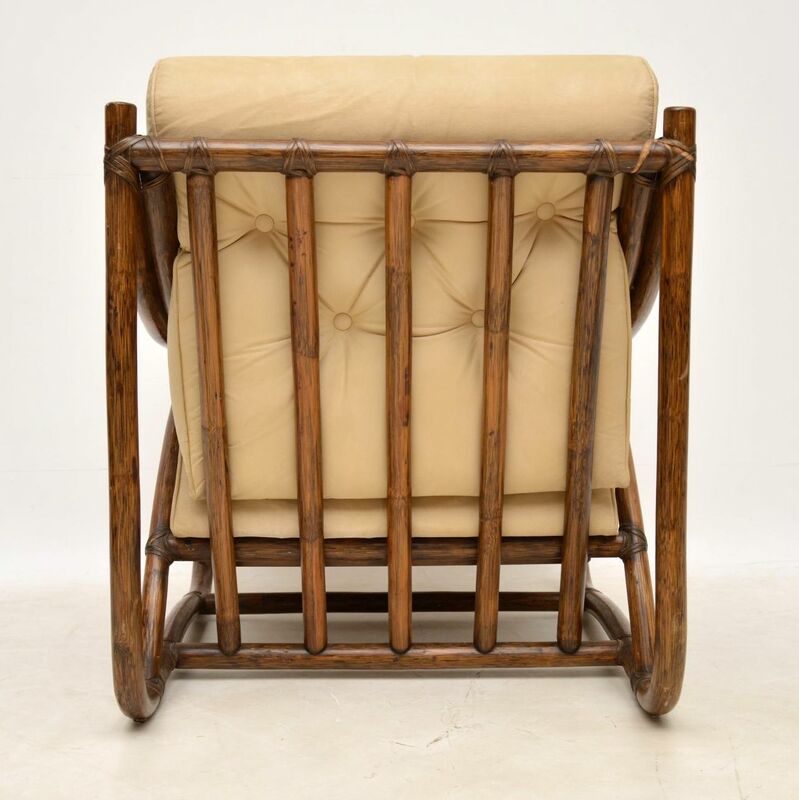 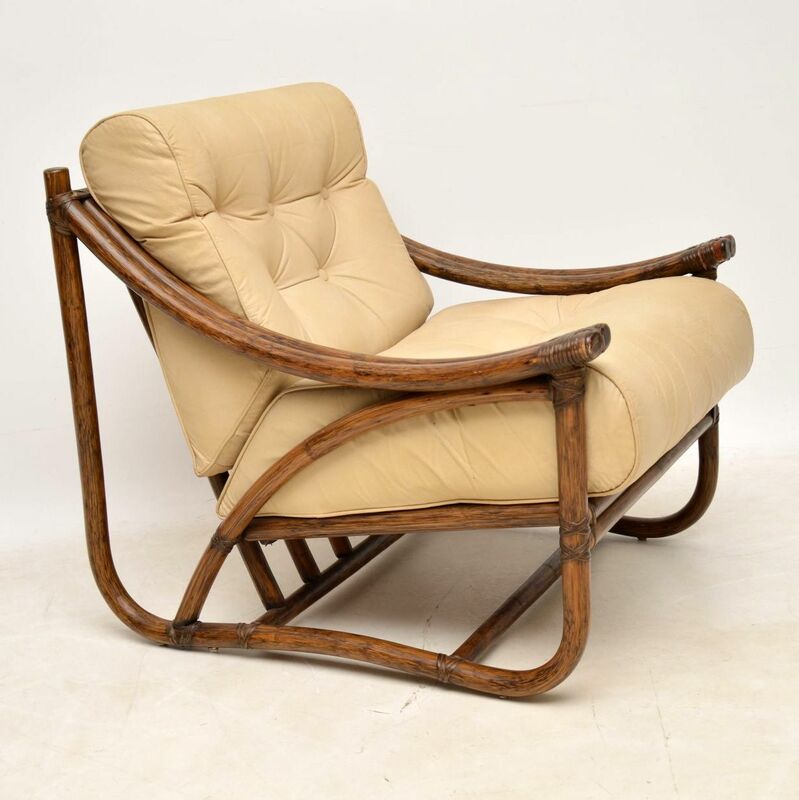 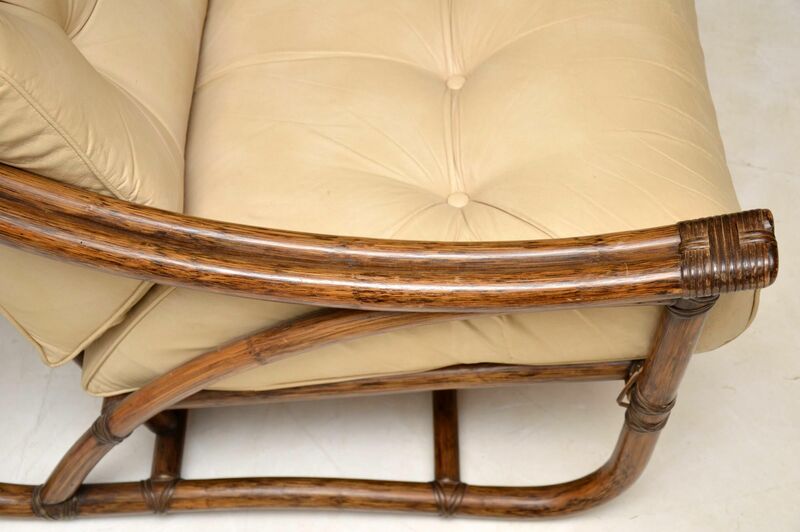 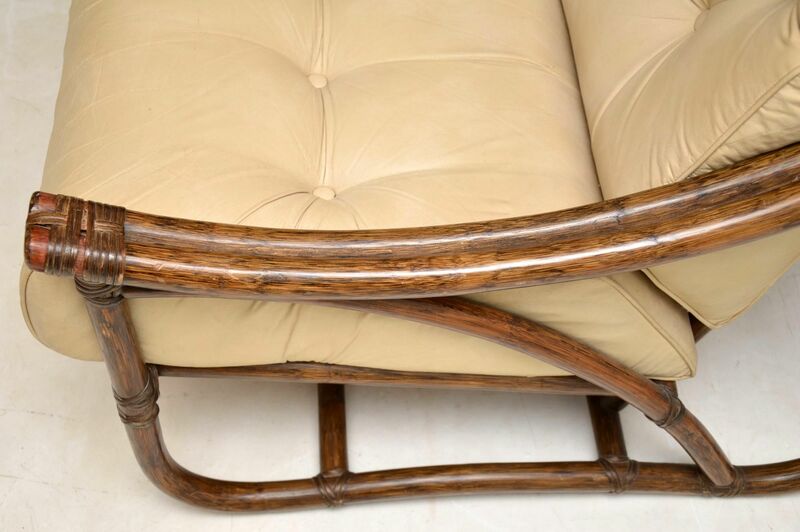 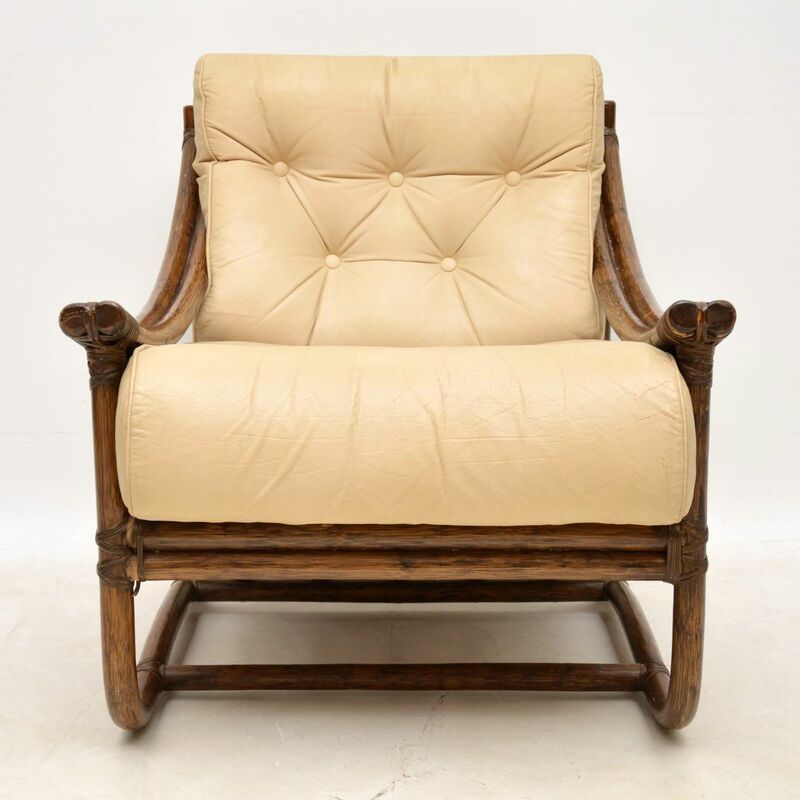 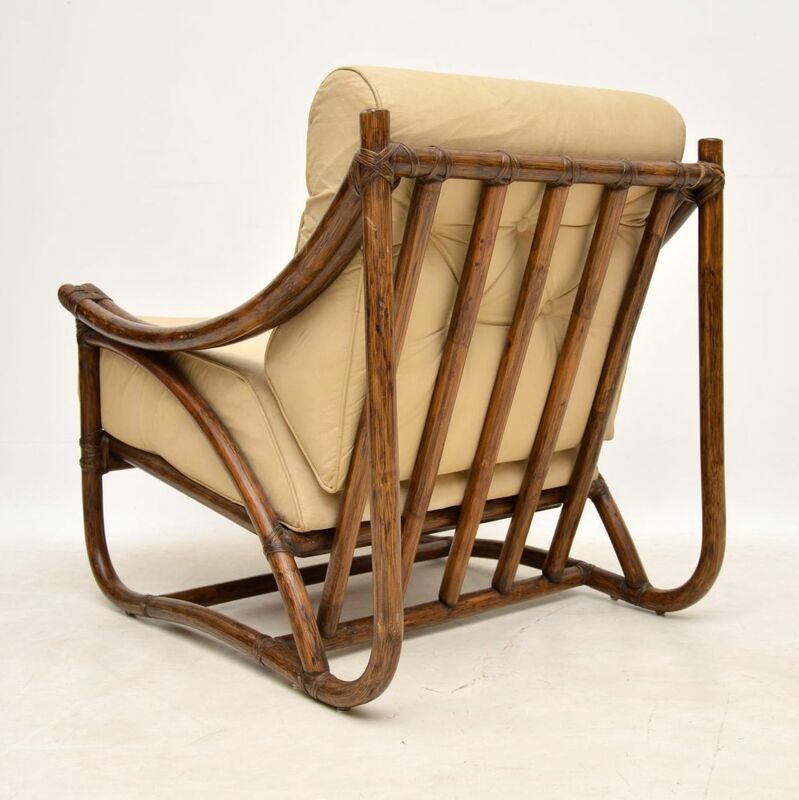 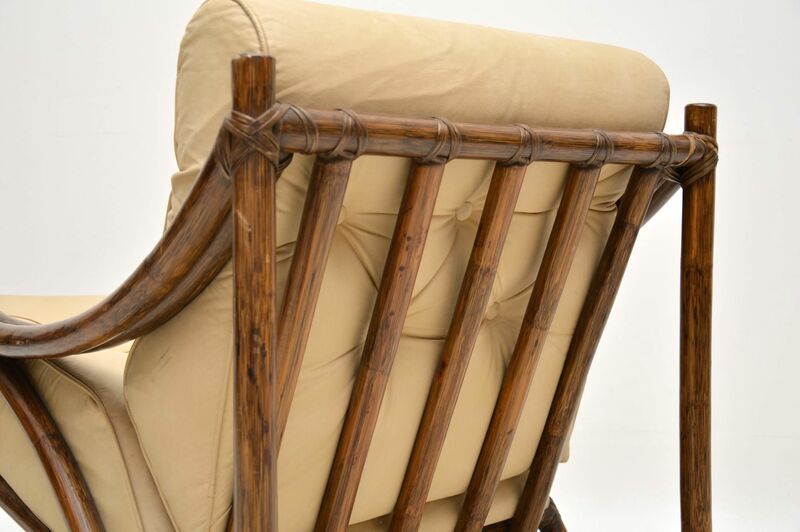 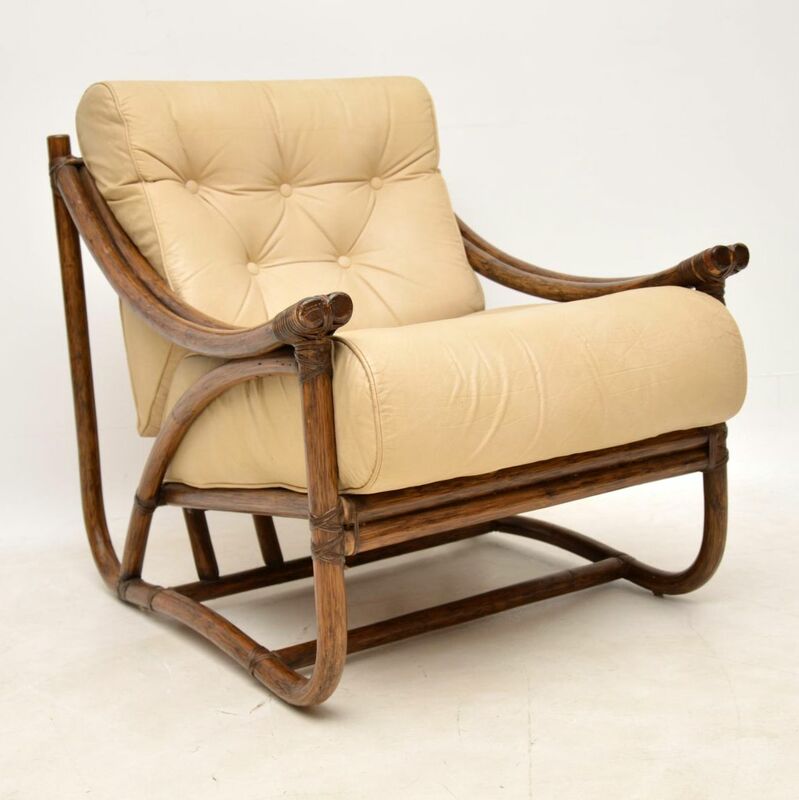 A very unusual, stylish and comfortable vintage armchair from the 1970's, this has a beautifully shaped bamboo frame and cream leather cushions. 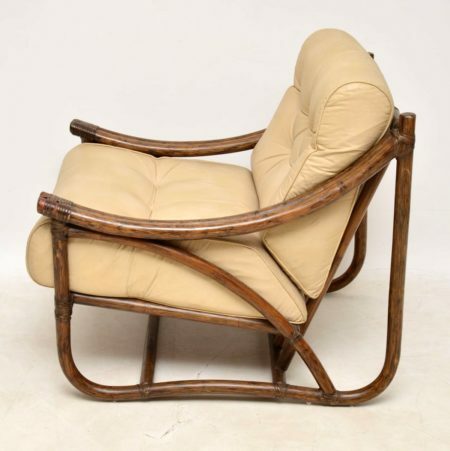 It's in very good condition for its age, the leather has only some extremely minor wear. 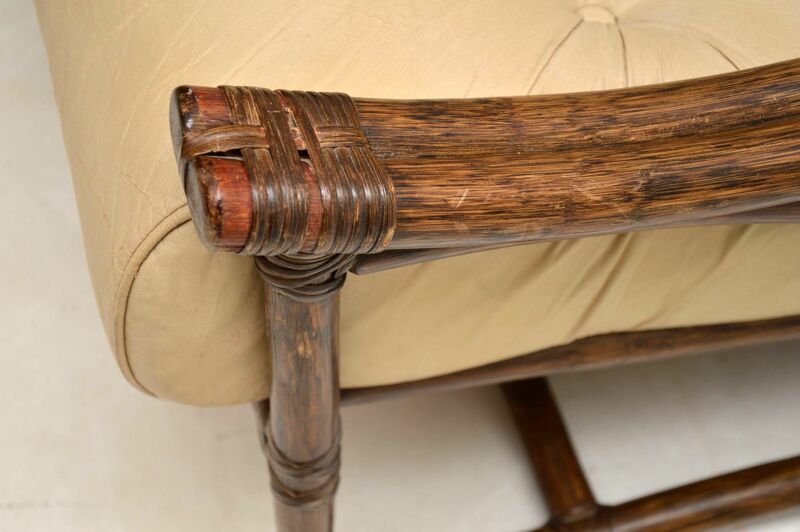 The bamboo frame is also in very good condition, there is a little bit of weaving around the joints missing in a couple of places, mostly on the front of one arm. 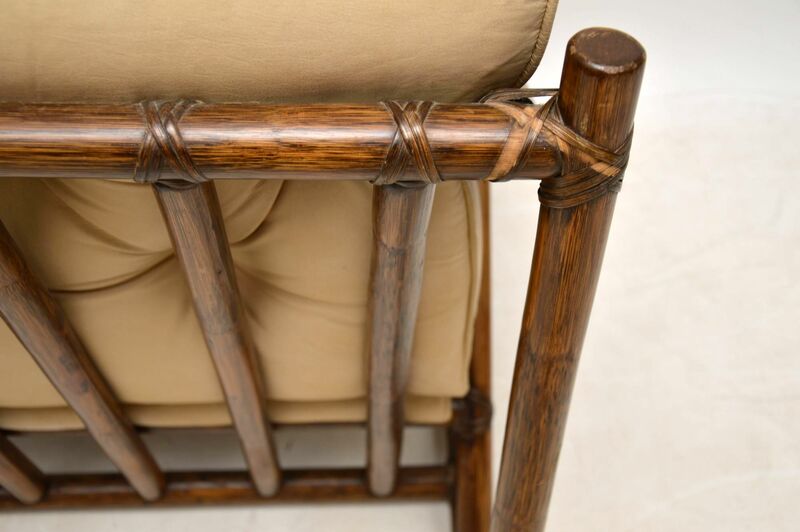 It's not particularly noticeable and doesn't affect the strength or beauty of this chair.